Because most people bask the PvP servers for grief, I feel that someone should answer that and also some about the PvE servers. At the moment I came into the game for almost 130 hours, about half of that on PvP servers and half of that on PvE, all official. Everything that people say about the grievers is true. They kill your dinosaurs, steal your things, abuse your body and destroy your house as soon as you go to sleep. In fact, many tribes organize the group to play after midnight for the sole reason of hunting for sleeping players. And that is the key word here STAMMEN. If you play on a PvP server, you have to reckon with the fact that you do not want to do it at your pace and take the time to build your little Tatch hut with its little reed fence with your Raptor and a pair of Dilos. Slowly learn the game yourself, record everything, eventually upgrade to Wood and then Stone and so on. I'm sorry but I have to burst your bubble right now: if you plan to play on a PvP server, you have to take this game seriously. You find a group of friends to play with you or you take part in a tribe as quickly as possible. If you play alone, you might find a hidden place where your stuf is safe for one or two nights, maybe even a week, but only you are doomed to be found, robbed and killed. And as many others said, the work of a whole week let go. go down the drain. If you're joining a PvP server you're doing it for Tribe warfare and let me assure you, thing can get really intense, really epic pretty fast. With eagles swooping down to grab and dropping them from high altitues to their deaths, or tactical dropping Raptors inside their base to wreak havok, T-Rexes working as battering rams at the enemies gates while rockets fly at them, auto-turrets spewing bullets at your Carno army, Sabretooths leaping over walls. It is a beauty to behold. But you'll only experience that if you join one of the dominating tribes on your server or on a Tribe of your own. Otherwise you'll just get cattle for them, nothing else. They'll keep you from taming dinos by killing them mid proccess, block caverns so only they can harvest the resources, literally kidnap you Mad Min style and so on. I hate that, after all they're just being preayed, they're not participating in all the fun that's Tribe Wars. But you can not go to a game like this. If they put too many people who do PvP only when THEY wanna do PvP the game would be boring and stale. But if everything I said did deter you now, do not be. First of all because you do not really need PvP to make this game fun. 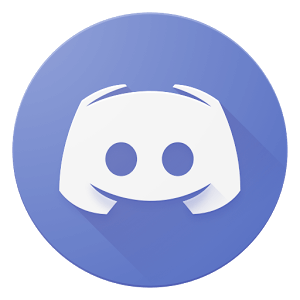 There is a TON of things to do in PvE servers or offline if you just want to do everything at your pace. I am a bit tired of all the pressure on PvP servers and I now play around 60 hours in a PvE. And I still only have a Wood base with some Dinos, I hit level 45, and I feel like I will never miss enough things because the developers keep adding and adding things almost every day. 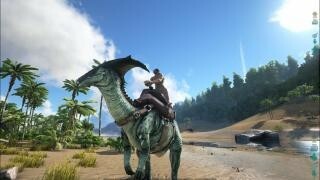 People are also very helpful on PvE servers, they help you with problems with a Rex, help you collect Prime-meat when you tempt a Carnivore, give you tips and materials. At least on my server, I got absolutely nothing to complain about. And if you are still one of the guys who wants to grow at your pace and only want to participate in PvP when you are ready, KNOW you! Because they will soon add Declaration of War to PvE servers, so tribes can really wage war if they feel like it, without having to worry about new players who just want to keep themselves. As a final statement, I would like to congratulate the Devs. They do a great job. Optimization is already a lot better, still not there, but much better. The content is fantastic and it keeps on coming. Bugs are rarer and rarer, I do not even know the last time I've experienced one. 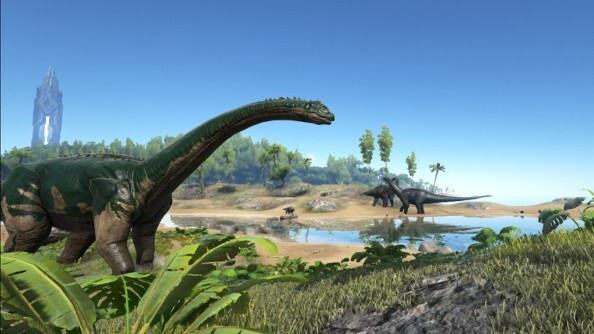 A very good game that I highly recommend when you play dinosaurs and survival games. Oh, and it's also pretty cheap. 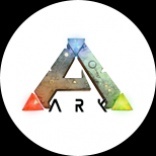 ARK: Survival Evolved (B2P) ARK, hoe moet je tamen? Roblox De basis - Alles wat je moét weten over ROBLOX.